Greetings from YFL!!! Meet me at the Wall!!! is this week’s practice focus!!! Once again, using the wall as a prop of resistance, alignment, and focus!!! Our mudra (hand gesture) is the ‘PRANA’, which will help promote the flow of ‘life force’, or vital energy through our nadis (channels), and charrs (energy wheels). Our Sanskrit focus is ‘TWAM EVA SARVAM’, and helps us remember, “My True Self is everything I hold dear”. Our meditation focus is ‘GRACE’, and may be focused upon as you listen to Tom Baras’s “Moon Dust”!!! This week’s Yin practice will emphasize opening the hips, so it is ‘HAPPY HIPS’ week!!! Please support all of the teachings offered by Sophie and Summer!!! All their classes are listed on our Spring Schedule!!! I highly recommend Jan’s Quigong on Monday evenings from 6:30-7:30!!! Such ‘meditative movement’!!! Sign-up for the ‘THE GREAT YOGA ADVENTURE TO FULLERTON’ begins today at the studio!!! Space is limited, so sign-up ASAP. Yoga cost is $10, and your pizza, pasta, salad, wine/beer/cocktail will cost $10-$30 depending upon your selections. 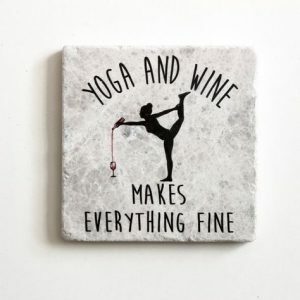 Deb will provide the yoga & meditation, and Taylor ( Deb’s son) will provide the great atmosphere, food & drink at the The Bowery Pizza & Craft Beer Restaurant!!! ATTENTION: YFL WILL BE CLOSED ON MONDAY, APRIL 22, IN OBSERVANCE OF THE EASTER HOLIDAY. Our regular schedule will resume on Tuesday, April 23rd. We wish you and your family a glorious Easter, and a Happy Earth Day!!! This entry was posted in Uncategorized on April 15, 2019 by Deb Potts. Greetings from YFL!!! Thank you Betty & Peter for a phenomenal Tibetan Bowl Healing Sound Concert this past Saturday!!! I am still enjoying the positive effects of the healing vibrations!!! We look forward to your return in September!!! This will be a very fun and exciting week at YFL!!! Our physical focus will be the Triple ‘R’-Rest, Renew, and Restore!!! Our Sanskrit focus is AUM Karuna Hum, or I am compassion. The supporting mudra (hand gesture) is ‘BHAIRAVA’, or the balancing mudra. It brings balance to the left & right hemispheres of the brain, and promotes optimal functioning of our internal organs. Our meditation focus is ‘Compassion’, and may be focused upon while listening to Kiran Murti’s ‘Sweet Indian’. This week’s Yin practice will balance your 7 chakras!!! 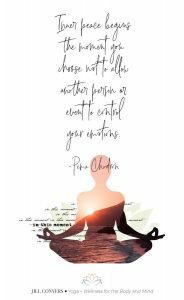 Qigong is an ongoing class every Monday evening from 6:30-7:30, and the reviews are in…very peaceful, meditative movement, and Jan is most knowledgable in her teachings!!! Summer’s NEW CLASSES are up and running, and students love her energy, poetry, flows, and special attention to ALL THE DETAILS of making class just right for YOU!!! 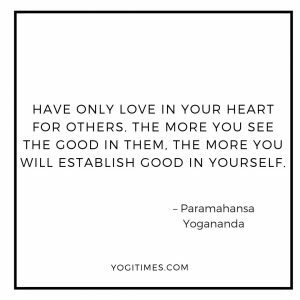 Please support her wonderful teachings at the studio: Wednesday-Yin at 11:15 & Gentle Yoga at 12:30, Thursday-Yin at 4:15 & Glow & Restore at 6:00!!! Your mind, body, and heart will be so glad you did!!! YOGA-HIKE is this FRIDAY (4/12)!!! PLEASE LET DEB KNOW IF YOU ARE GOING TO ATTEND. We will meet at the Visitor Center @ 8:30 a.m. Bring water, towel, $4, hat, and wear good shoes to support and protect your feet. Mark your calendar (6/30/19) for a GRAND YOGA ADVENTURE TO FULLERTON!!! Join Deb & her son Taylor for Yoga & Lunch at The Bowery Craft Beer & Pizza. Taylor is co-owner of this wonderful restaurant!!! Deb will guide us through a gentle yoga practice beginning at 10 a.m., and then lunch will be served. You can choose to have a cocktail, craft beer, or wine. The food menu will include pizza, salads, and/or pasta. If you have a slice (they are huge) of cheese or pepperoni & house wine your cost is around $10, or you can choose an artisan pizza, salad, pasta for a higher cost. Deb will be charging $10 for the yoga experience. The Bowery is just steps away from the Fullerton Train Station, so you can choose to ride the train up & back, or carpool with your buddies. Space is limited, so sign up quickly. THIS WILL BE A BLAST!!! Sophie’s next Yoga For Grief workshop has been moved to May 18th!!! NO 8:15 OR 9:30 CLASS THIS FRIDAY (4/12) DUE TO THE YOGA HIKE!!! 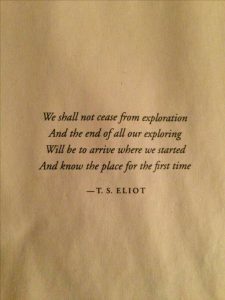 This entry was posted in Uncategorized on April 8, 2019 by Deb Potts. Greetings from YFL!!! Happy first full week of Spring!!! This week we return to ‘Classic Hatha’ with emphasis on Vinyasa + Power!!! Our Sanskrit focus is ‘Dhanya Vad’, or expressing gratitude and thanks!!! Our supporting hand gesture (mudra) is the classic ‘Dahana’, or meditation mudra. Yin practice will focus on opening the hips, so it is ‘Happy Hips’ week!!! 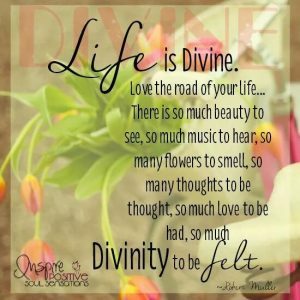 Our meditation focus is ‘Gratitude’, and the music selection for meditating is ‘Kiran Murti’s Divine Imagination’. 3/25-QUIGONG BEGINS!!! This class will meet each Monday evening from 6:30-7:30, and is taught by Jan Tucker. Please contact her at jan@HealingWithQuigong.com, or 805-222-5102 to register. 3/26-Deb will be teaching the 4:15 p.m. Yin & 6:00 p.m. Classic Hatha for Levels I-II. 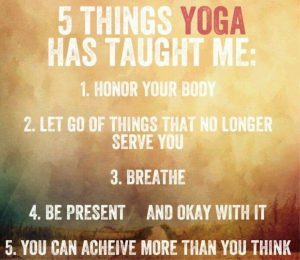 The Yoga Basics & Meditation I will once again alternate on Tuesday evenings from 7:30-8:30 p.m. 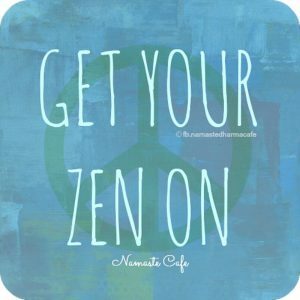 Contact Deb for the start dates for the next 4-week Yoga Basics & 5-week Meditation I. 3/27 & 3/28-Summer will be adding two new classes on Wednesdays, 11:15 Yin & 12:30 p.m. Gentle, and on Thursdays she will be teaching the 4:15 p.m. Yin class, and adding Glow & Restore at 6:00 p.m.
All of Sophie’s classes remain the same!!! The Tibetan Bowl Healing Sound Concert is fast approaching, and space is limited, so sign up ASAP!!! 4/6 from 1-3 p.m. @ $25. Kim’s Reiki I training will be held at YFL on 4/7 from 10 a.m.-3 p.m. The annual Yoga Hike will be Friday morning (4/12) from 8:30-10:30 a.m. @ Santa Rosa Plateau. Please sign up with Deb, if you plan to attend. The only cost is the $4 parking fee. This entry was posted in Uncategorized on March 25, 2019 by Deb Potts. Greetings from YFL!!! It is ‘Wall Week’ on the mat!!! We will use the wall as a prop for alignment, focus, and strength!!! Our Sanskrit focus is ‘AUM’, or the primordial sound from the creation of the Universe. It’s vibrational energy is a unifying force when chanted in unison. Our hand gesture (mudra) is the Vayu or ‘wind mudra’, which promotes our affirmations, intentions, and helps provide relief form sciatica, and arthritis. Our Yin practice will emphasize a ‘healthy back’, as we work the full range of motion of the spine. Our meditation focus will be ‘Inner Power’, and may be contemplated to the music of Bhakti Hreem’s ‘Devotion’. There will be some minor changes in the Spring Schedule at YFL. So, watch for the changes to be posted on the website by the end of this week!!! 3/25-Quigong begins with Jan Tucker @ 6:30 p.m.-$15 drop in, or $60 for 5 classes. 4/12-Yoga Hike w/Carol & Deb @ 8:30-10:30 a.m. @ The Santa Rosa Plateau, $4 parking fee per person-we will meet at the Visitor Center. This entry was posted in Uncategorized on March 17, 2019 by Deb Potts. Aaahhh!!! It is ‘Three R’ Week-Restore, Renew, and Relax!!! Greetings from YFL!!! We worked very hard last week with our weights, so this week we counter with our Restorative Practice-Rest, Renew, and Restore!!! 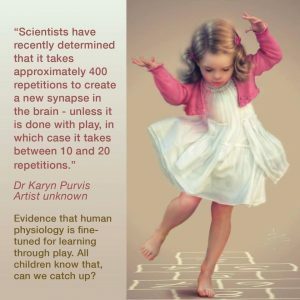 Our Sanskrit focus is the delight of ‘Lila’, or ‘Divine Play’!!! Our mudra (hand gesture) is ‘RELAX’, or ‘let it flow’. This helps us release tension from the mind, body, and heart. Our meditation focus is ‘Lila’, or ‘The Child within Us’. Our meditation music is from David Lanz-‘Echoes’. This week’s Yin practice will emphasize ‘Chakra Balancing’. We will balance the energy of our Chakras with sound vibration, asanas, color, and breathing techniques. There will be some minor changes in our Spring Semester of Classes. Those changes will be posted on the website by 3/21/19. So, watch for the new schedule posting that week. We have many exciting events approaching: 3/25-Jan Tucker will be bringing Quigong to YFL from 6:30-7:30 every Monday evening. Deb has flyers with all the pertinent info!!! 4/6-Tibetan Bowl Healing Sound Workshop @$25 with Betty & Peter. Sign up at YFL!!! 4/7-Kim will be offering Reiki I training at YFL. 4/12-Annual Yoga-Hike w/Carol and Deb @ The Santa Rosa Plateau from 8:30-10:30 a.m. The event is FREE, but each person has a $4 parking fee to pay. We will hike, learn about the plateau, practice gentle yoga, and a beautiful outdoor meditation. Then we will convene at a local coffee shop to chat, and converse!!! This entry was posted in Uncategorized on March 10, 2019 by Deb Potts. Greetings from YFL!!! Welcome to the first week of March!!! Of course that means “weight” week on the mat!!! We will be sculpting, toning, and strengthening through the baring of our own body weight, and the use of hand weights!!! Our Sanskrit focus is ‘Namaste’, or ‘The Truth in me, honors the Truth in you’. The supporting hand gesture (mudra) is ‘Ushas’, or connecting to all things good. Our meditation focus will be ‘Light’, the light of hope, truth, and healing. The supporting music is Ann Sweeten’s ‘Moment in Time’. This week’s Yin practice will emphasize ‘good digestion’. Our new Spring Schedule will go into effect on 3/25, and will be posted on the website by 3/22. Beginning on 3/25, Jan Tucker will be offering Quigong, an ancient practice of ‘healing movement’. The drop in cost is $15, or you may purchase a class package of 5 for $60. Payment is separate from your YFL classes. This entry was posted in Uncategorized on March 4, 2019 by Deb Potts. Greetings from YFL!!! This week puts a wrap on the month of February!!! Wow, time is just zoooooooommmmmming by at YFL!!! Since, it is the last week of the month, we will be practice Classic Hatha, which means to enliven and energize through the balancing of the male and female energy systems within us. The practice will emphasize power, flow, balance, strength, and agility. Our supporting Sanskrit focus is ‘Bhakti’, or your chosen path of devotion to Universal Energy. The hand gesture focus, or mudra, is the ‘Performance’ gesture for improving self-assurance, self-confidence, and self-awareness. Add to this gesture the silent mantra of ‘I am sure’. Our Yin practice for the week will focus on postures for opening the hips, so it is ‘Happy Hips’ week!!! The meditation focus is ‘I am sure’, and may be contemplated while listening to Enya’s ‘Watermark’. Sophie and Summer will be ready for you on Tuesday, Wednesday, and Thursday with their new offerings for the week!!! I attended Sophie’s newly revised ‘Yoga For Grief’ workshop this past Saturday, and was profoundly moved by the experience!!! 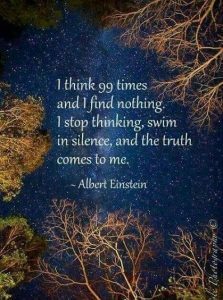 My biggest ‘takeaway’ was that we are never finished with the grieving process, and unknown subtle energies accumulate within our very cells and tissues. 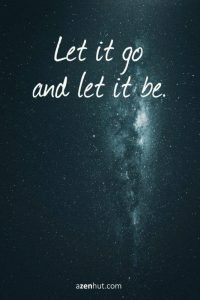 So, we need to let these energies release in a positive, supportive, and safe way and place. This workshop provides that space. Whether you think you need this healing process or not, trust me, YOU DO!!! I can’t emphasize the importance of this work enough!!! Her next workshop will be offered in May. Stay tuned for the date, and then, sign up as quickly as possible, as space is limited!!! QUIGONG is coming, exclusively, to YFL. Jan will be offering classes on Monday evenings, from 6:30-7:30 p.m., beginning on 3/25. Drop-in cost is $15, or you may purchase a 5-class package for $60. Other happenings-watch for the YFL newsletter this Friday, 3/1 @ 10 a.m.!!! 4/6-Tibetan Bowl Healing Sound Concert 1-3 p.m.
4/7-Reiki I Training 10 a.m.-3 p.m.
4/12-Yoga-Hike @ The Santa Rosa Plateau 8:20-10:30 a.m. This entry was posted in Uncategorized on February 24, 2019 by Deb Potts. Greetings from YFL!!! Happy Presidents Day!!! Yes, we are open today!!! This is “Return to the Wall” week at the studio. The Wall is a wonderful prop for resistance, alignment, and focus!!! 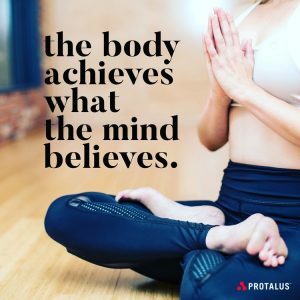 Our Sanskrit focus will be ‘Pratyahara’, or to withdraw from external stimuli, and stay connected to the body via the breath. Our mudra (hand gesture) is the ‘Pran’, which helps us control the flow of Prana or life force through the body. This mudra elevates our energy levels, and prevents fatigue. Our meditation focus will be “Staying Present”, and may be contemplated, while listening to “Meditation”. Deb’s Yin practice will emphasize and support maintenance of a healthy back. I am happy to announce that the ancient art of Quigong will be offered at YFL on Monday evenings from 6:30-7:30 p.m. Jan Tucker is the instructor, and the drop-in cost is $15. This class is appropriate for beginners. Please contact Deb for more detailed information. There is still time to sign-up for Sophie’s ‘new version’ of Yoga For Grief workshop!!! It is this Saturday, from 1-3 p.m., and the cost is $25. Many happenings in the month of April: 4/6: Tibetan Bowl Healing Sound Concert (1-3 p.m.) @ $25 w/Betty & Peter, 4/7-Reiki I Training (10 a.m.-3 p.m.) @ $144 w/Kim, and 4/12-Annual Yoga-Hike @ The Santa Rosa Plateau (8:30-10:30 a.m.) w/Carol & Deb-FREE (other than Plateau Fee of $4). This entry was posted in Uncategorized on February 18, 2019 by Deb Potts. TO KEEP EVERYONE SAFE AND SOUND, THE FOLLOWING CLASSES WILL BE CANCELLED AT YFL THIS AFTERNOON, AND EVENING: 4:15, 6:00, AND 7:30 P.M. THIS IS DUE TO FLOODED STREETS, AND STREET DAMAGE FROM HEAVY RAINS!!! SOPHIE WILL BE HOLDING CLASS TODAY AT 12:30 P.M. This entry was posted in Uncategorized on February 14, 2019 by Deb Potts. Greetings from YFL, and Happy February!!! This is our first full week of the new month, and you know what that means, “Weight Week”!!! Be ready to sculpt, tone, and strengthen as we bare our own body weight, and use additional hand weights for part of our practice!!! Our Sanskrit focus is “AUM Tat Sat”, which translates as “Truth & Goodness”. Our supporting hand gesture will be the “USHAS” mudra, which evokes connection to all things good!!! Our meditation focus will be “Goodness”, and the your meditation music is “Star Flight” by Michael Hoppe. Deb’s Yin practice will promote balancing the chakras with asana, color focus, energy focus, and Tibetan bowl ringing. Sophie’s newly revised “Yoga For Grief” workshop is fast approaching!!! We ask that you pre-register, and space is limited. It will be at YFL on 2/23 from 1-3 p.m. @ $25!!! Sign-up ASAP!!! Summer’s new classes are fun, energetic, and restorative!!! Try them out on Tu @ 6 & 7:30 p.m., and on Wed @ 1:15 p.m. If your looking for a healthy Valentine’s Day gift for your significant other, please consider a gift certificate to YFL!!! This entry was posted in Uncategorized on February 4, 2019 by Deb Potts. Greetings from YFL!!! This is ‘Bonus Week’ at the studio, since we have a 5th week in the month of January!!! Thus, Weight Week will be next week, and we will enjoy a full week of Sukha (Yin) & Stirha (Yang) practice. This is a nice blend between the two forces of practice, both the feminine and masculine aspects of energy flowing into a harmony of oneness within our minds, bodies, and hearts. Our hand gesture (mudra) will be the “Matangi”, and this will help promote harmony and strength, and inner balance of our body organs. 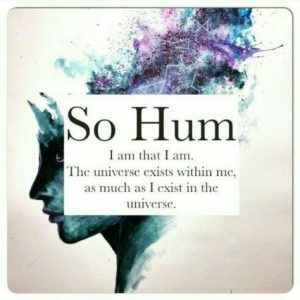 The Sanskrit focus is “So Hum”, which translates as “I am”, to which reply truth, joy, happiness, well-being, compassion, etc. Our meditation focus will be “Harmony”, and may be contemplated while listening to Sacred Earth’s “Bhakit Heeneem” music. There is still time to register for Sophie’s “Yoga for Grief” workshop, 2/23, from 1-3 p.m. @ $25. Sign-up for the quarterly Tibetan Bowl Sound Healing Concert will begin next week, and space is limited, 4/6, from 1-3 p.m. @ $25- guided by Betty & Peter. Carol and Deb will lead the annual Yoga-Hike on 4/12. We will meet at the Visitor Center of the Santa Rosa Plateau at 8:30 a.m., and enjoy the gorgeous vistas as we hike, and listen to Carol describe the flora, fauna, and geology. Once we reach the tree grove, then Deb will guide us through yoga and meditation. Following the activities you have the option of meeting at Starbucks for coffee, tea, or brunch. This event is FREE, other than your fee of $4 for enjoying the Plateau. There will be a registration sheet forthcoming. Stay with your discipline of practicing at least twice per week in this New Year, which is about to enter month #2!!! Remember we have a new instructor, and some new classes to check out, plus all the oldies, but goodies!!! The February YFL Newsletter will be on your email desk at 10 a.m., on Friday 2/1!!! This entry was posted in Uncategorized on January 27, 2019 by Deb Potts. Greetings from YFL!!! The rain through a loop in our schedules, but it won’t be returning for a couple of weeks…so back to the mat!!! We relish the rain, although we don’t like to drive in it, if we can avoid the stress!!! We have a full schedule of classes ready and waiting for you. Don’t forget to try Summer’s NEW CLASSES on Tuesday evenings, and Wednesday afternoon. She is skilled, enthusiastic, humorous, and knowledgable, according to the feedback that I have received from her students!!! OUr Sanskrit focus for the week is Manipura, or “The Jewel”. This is the 3rd chakra, or our solar plexus area, and controls our goals, willpower, physical power, and stamina. This week’s Classic Hatha practice will help create balance in this energy wheel, as we challenge our selves to move fluidly with grace and power. We will also test our skills of balancing in some new ways this week!!! Our hand gesture is “Dhanya”, or the mudra for contemplation. 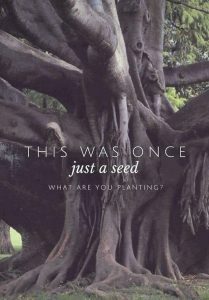 Our meditation focus is “planting seeds” for growth in our lives. The supporting music for the meditation is David Lanz’s Blue Paradise CD, and the selection is “LUNA”. Very appropriate with the Full Wolf Red Moon, and full lunar eclipse on 1/20. This week’s Yin practice will focus on promoting “Good Digestion”. Sophie’s Yoga For Grief workshop is soon approaching, 2/23, from 1-3 p.m., and the cost is $25. Sign up ASAP, as space is limited, and it always fills to capacity!!! Kim’s Reiki I training is next Sunday, 1/27!!! This is such a valuable tool for ALL of us!!! I highly recommend taking this course, at the very least, for yourself!!! Contact Deb to register!!! The annual Yoga-Hike with Carol and Deb will be on Friday, April 12th, at the Santa Rosa Plateau. We will meet at 8:30 a.m. Stay funded for further details!!! This entry was posted in Uncategorized on January 20, 2019 by Deb Potts. Greetings from YFL!!! This week we travel to The Wall with our mats!!! The Wall will serve us in three ways-alignment, focus, and resistance!!! Our hand gesture or mudra is the “Shuni”, which will connect us to the fire element, and promote patience, discipline, stability, and strength to forge ahead through difficulties in our lives. Our meditation focus for the week is “Patience”, and may be contemplated while listening to James Hood’s “Imaginary Friend”. This week’s Yin focus is “Chakra Balancing”. 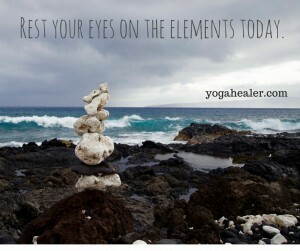 We will use symbols, colors, and Tibetan Bowl notes, as well as yoga asanas to balance our energy wheels. Drum Circle for the Winter Solstice season is this Sunday (1/20) from 5-6 p.m., and is FREE!!! Bring an instrument of choice and a friend or two!!! Deb does have instruments for borrowing, as well!!! Reiki I training is 1/27 with Kim. There is still time to register. Contact Deb for registration info!!! 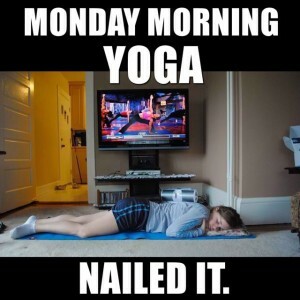 Try some new classes with Summer: Tuesdays at 6 and 7:30 p.m., Glow & Restore and Yoga Basics, respectively!!! Sophie’s Yoga for Grief workshop will be offered on 2/23 from 1-3 p.m. @ $25-registration is open. Deb and Carol are planning a Yoga-Hike for sometime in April. Stay tuned for the details!!! This entry was posted in Uncategorized on January 13, 2019 by Deb Potts.